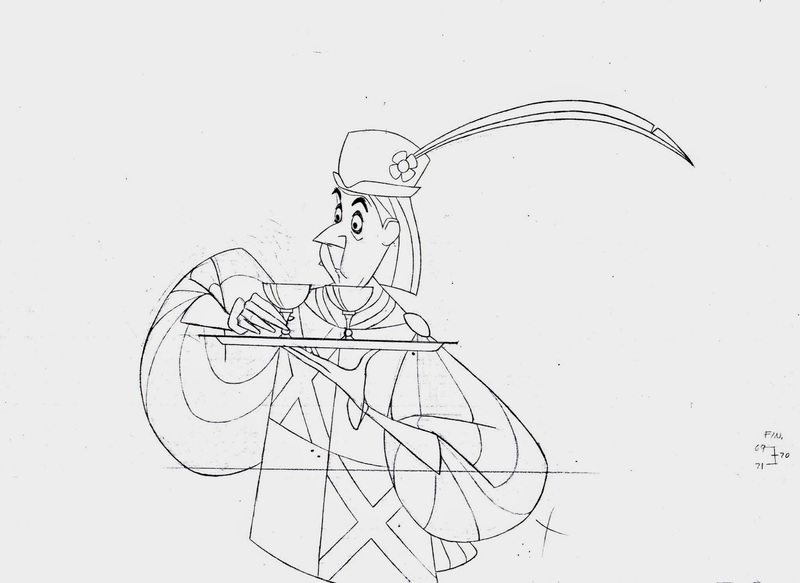 The character designs for the film Sleeping Beauty are highly inventive and groundbreaking. 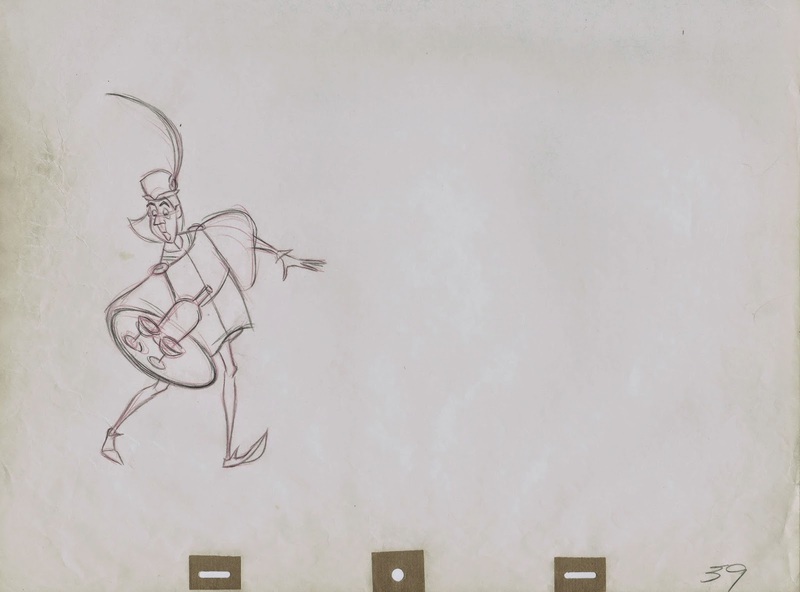 Other studios had already experimented with short films that looked very different and modern. 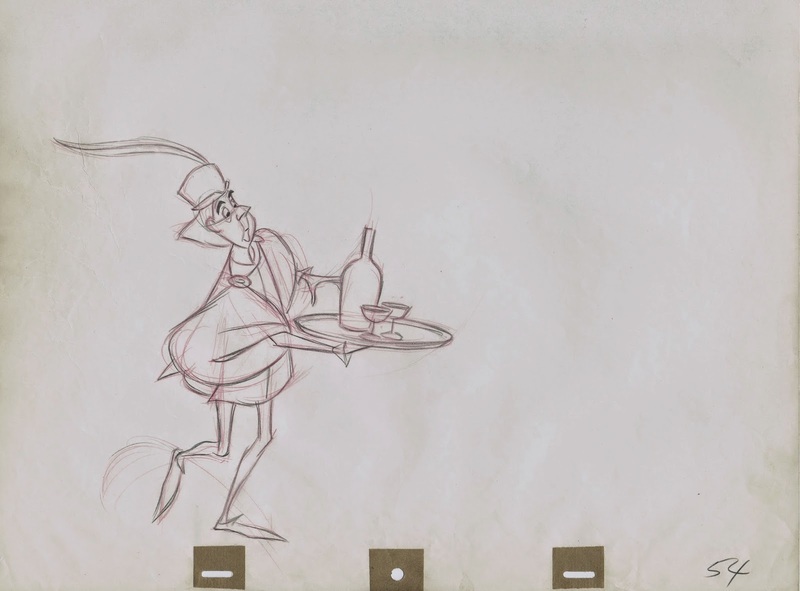 These productions showed limited movements with their flat, graphic characters. 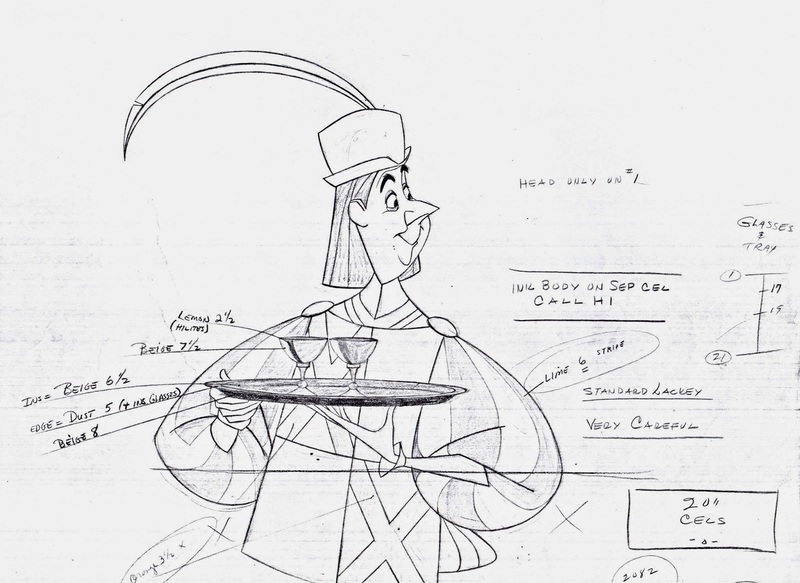 Disney’s first experiments, using break-away, contemporary designs, go back to 1954’s Toot, Whistle, Plunk and Boom. 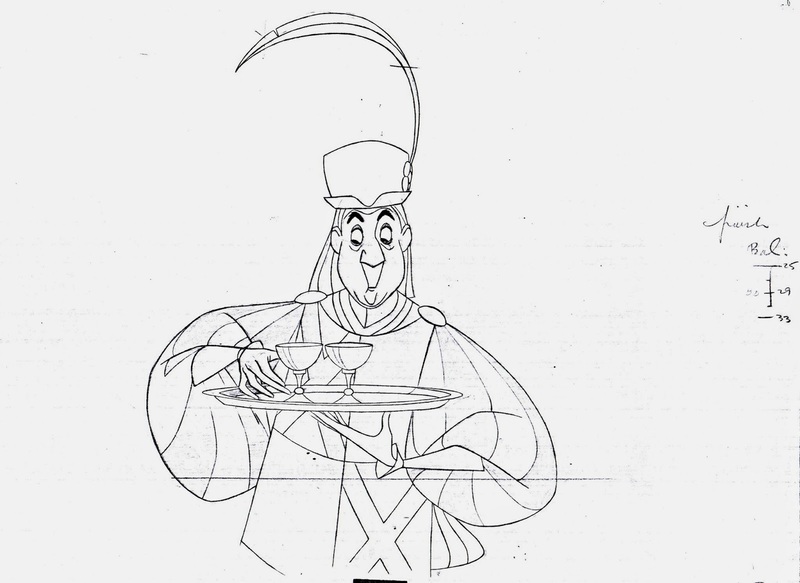 But Sleeping Beauty was the first animated feature in which Disney character development and acting were combined with fully animated stylized personalities. 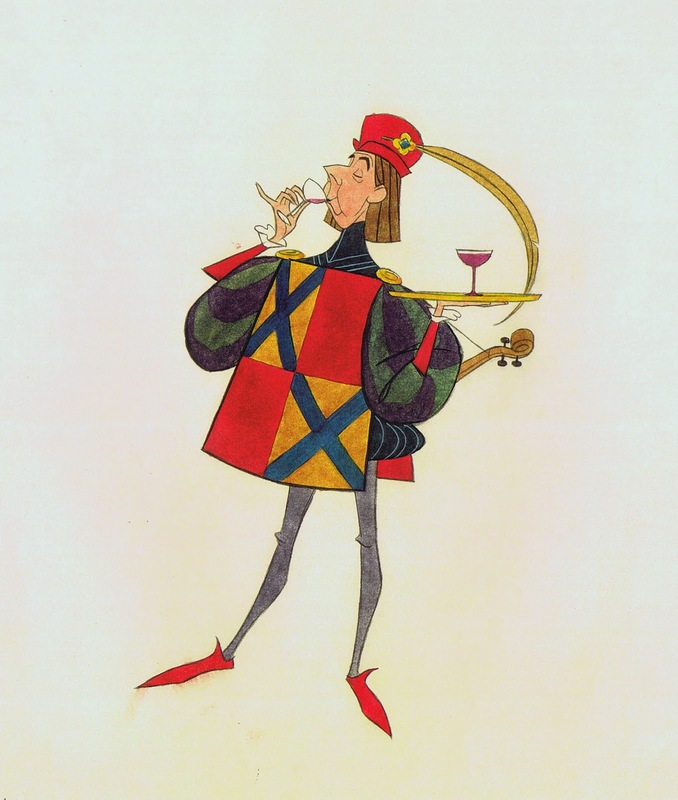 The Lackey has only a small role, but his few scenes are extremely well executed. You have a very skinny character who’s costume adds bulk and contrast. 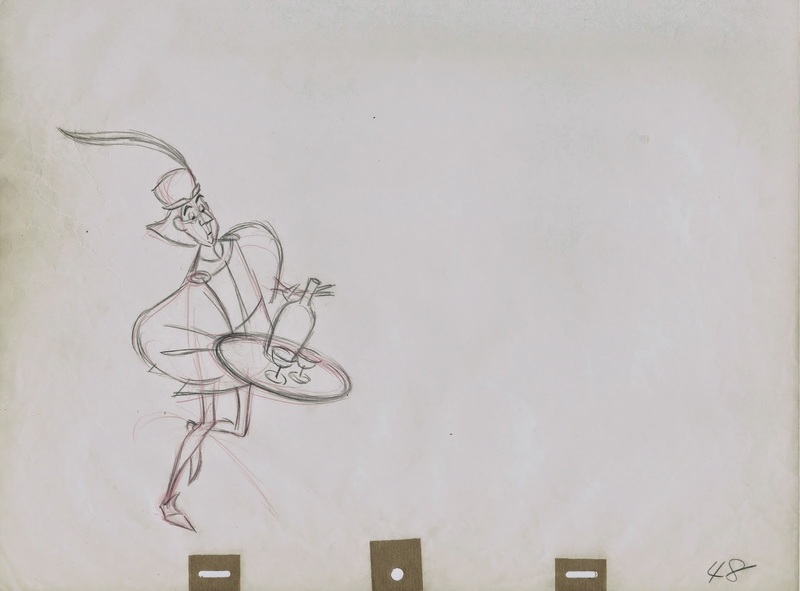 The design sketch above is by Milt Kahl, who animated most of the personality scenes. 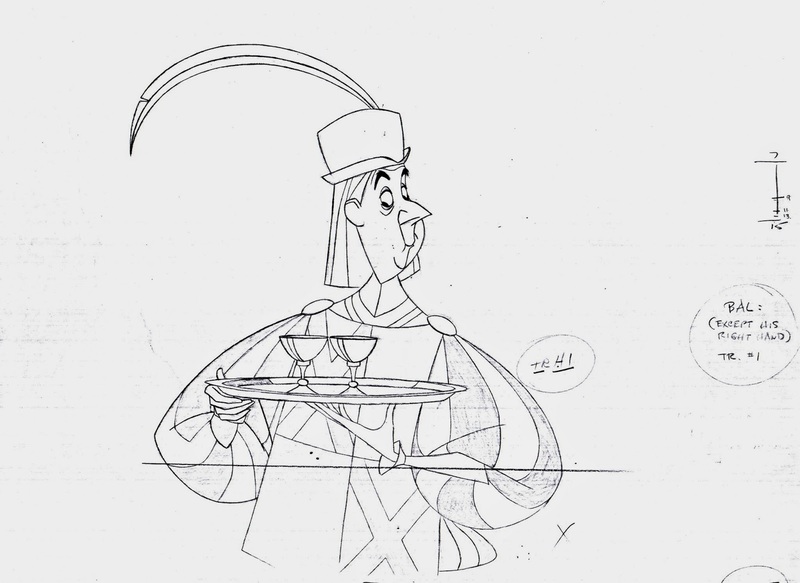 Here are a few rough keys from his introductory scene. 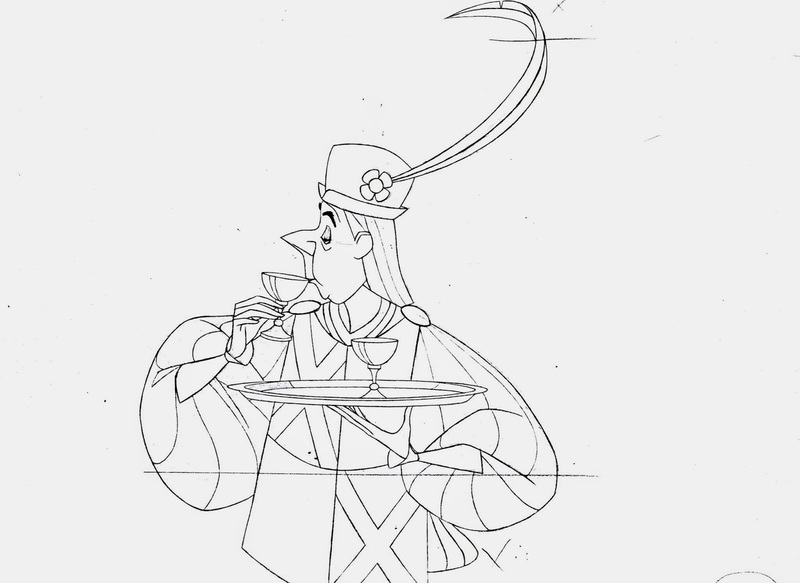 King Hubert has just called for the wine, and the Lackey rushes in with a bottle and two glasses on a tray. 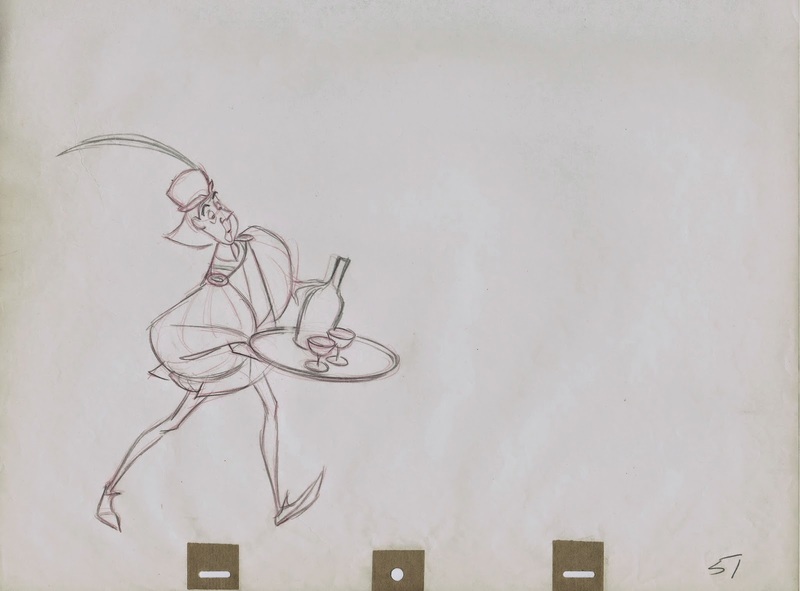 I love the way Milt animated him running as he almost looses control of his hold on the tray. 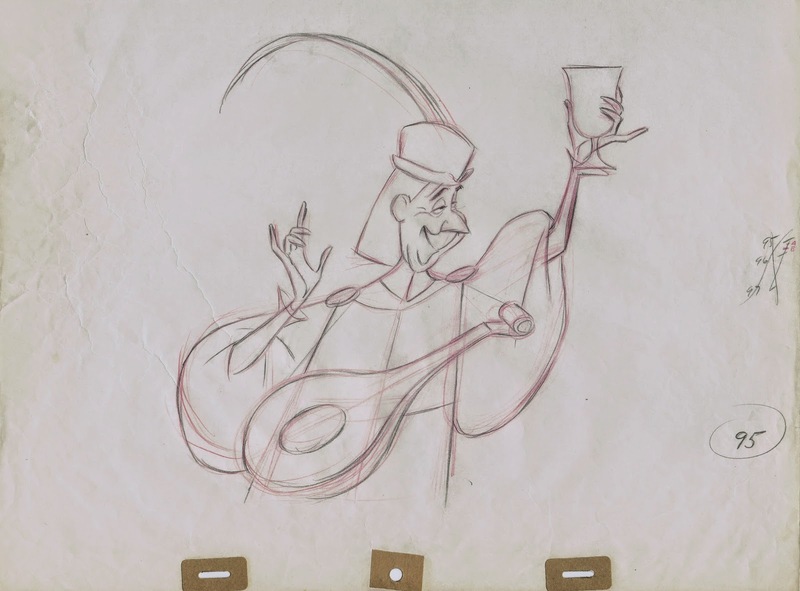 Another great Kahl scene in which the Lackey performs a secretive wine tasting. 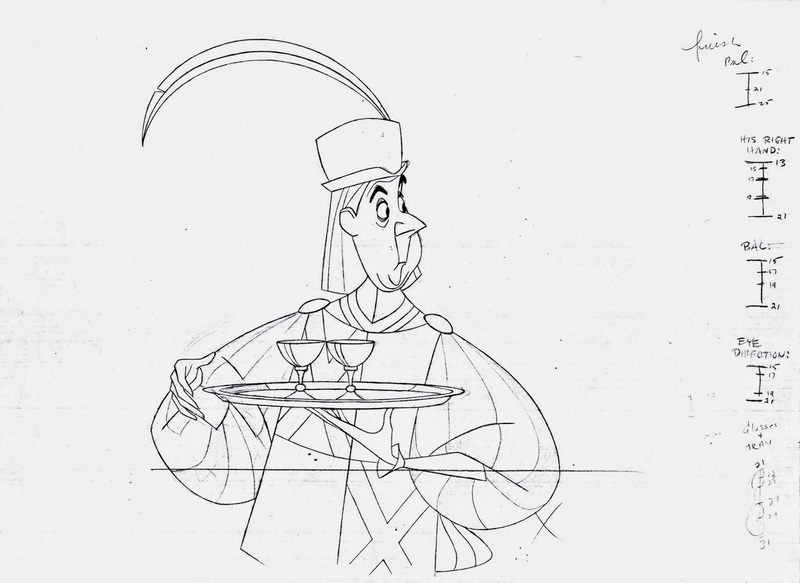 He carefully checks on the two kings who are busy in conversation. 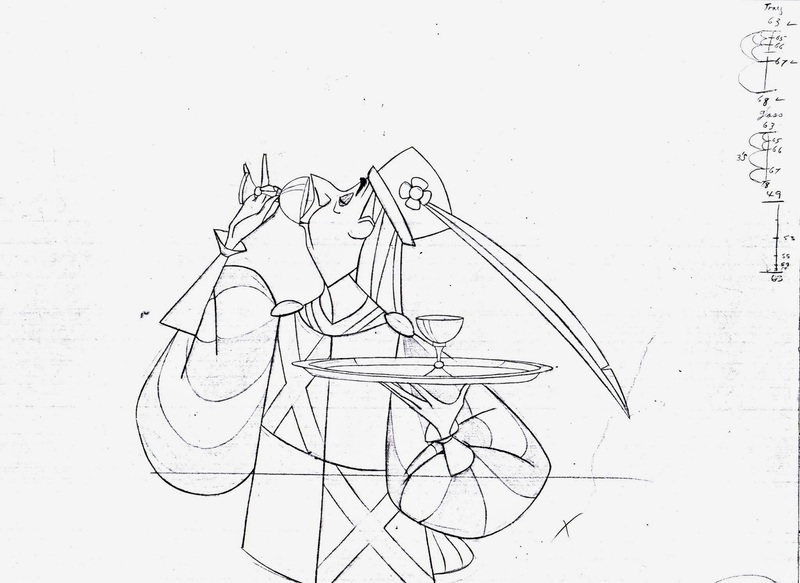 Feeling unobserved, he lifts up a glass for a sip. 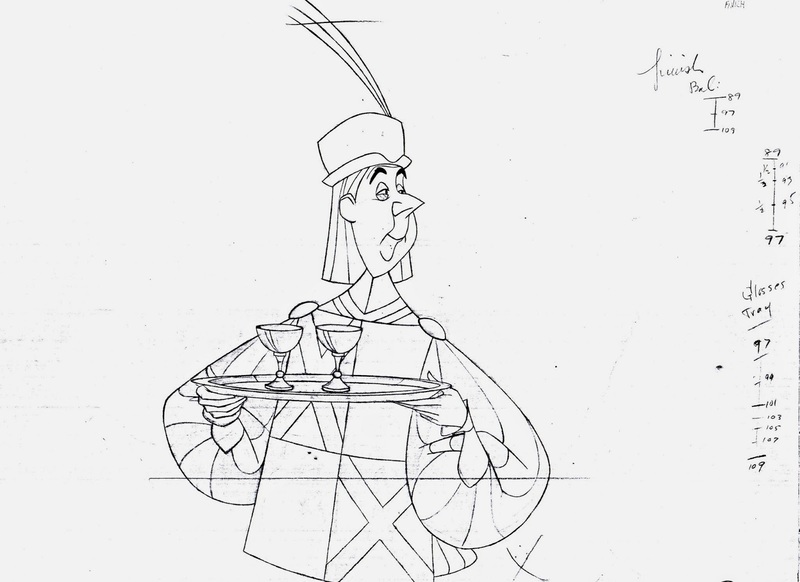 He immediately is interrupted by King Hubert’s boisterous voice and quickly places the glass back on the tray. His final expression shows an attempt to cover up guilt of having done something against protocol. 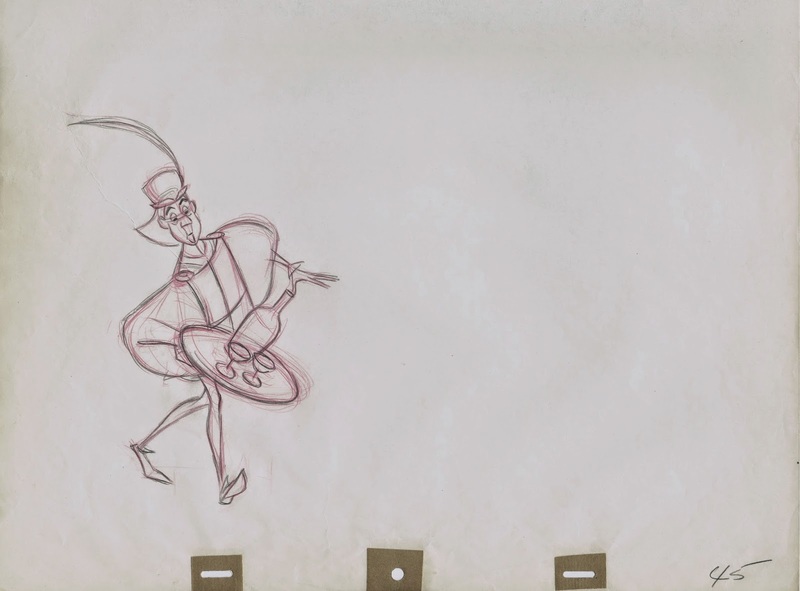 Just look at the graphic power in these drawings. 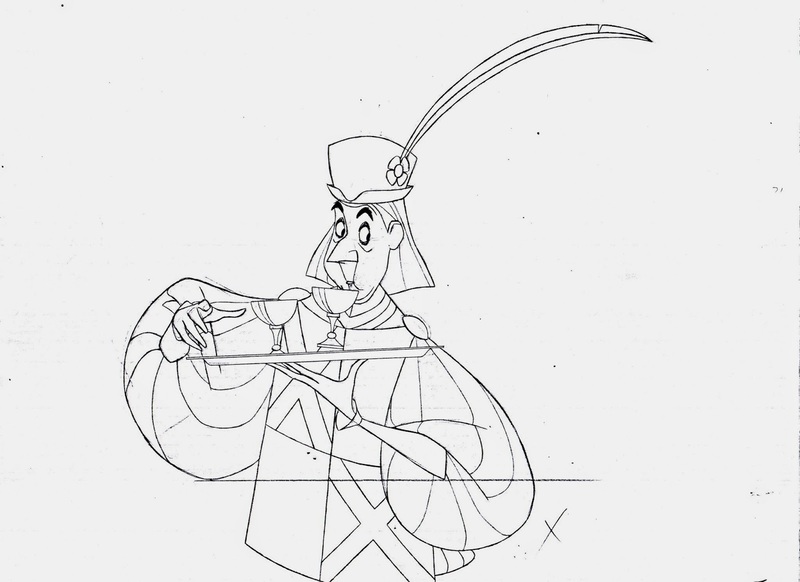 John Sibley also animated a few scenes, no doubt under Milt’s supervision. 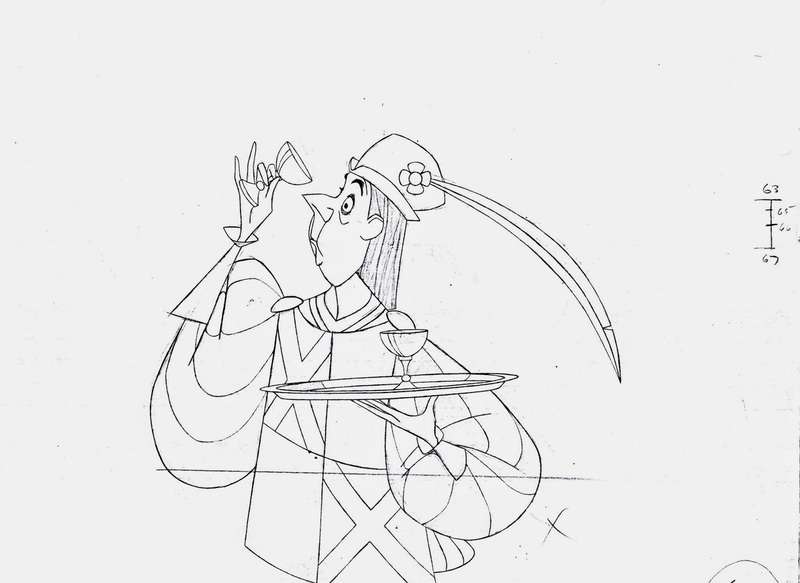 This is one of John’s rough key drawings.